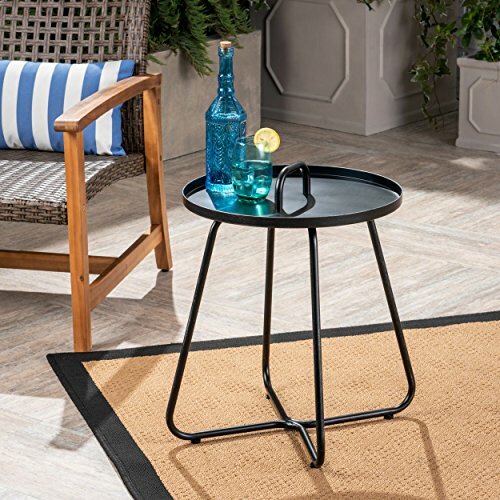 This elegant outdoor side table is perfect as an extra table for your backyard or patio. Made from rust-proof aluminum, it's built to hold up to the elements and bring pleasure for years to come. Ideal for the backyard, patio, or garden. Includes: One (1) Table. Material: Rust-Proof Cast Aluminum. Finish: Matte Black. Assembly Required. Dimensions: 21.30 inches deep x 21.30 inches wide x 22.25 inches high.